In this gritty crime debut set in the stark Texas borderlands, an unearthed skeleton will throw a small town into violent turmoil. Seventeen-year-old Caleb Ross is adrift in the wake of the sudden disappearance of his mother more than a year ago, and is struggling to find his way out of the small Texas border town of Murfee. Chris Cherry is a newly minted sheriff's deputy, a high school football hero who has reluctantly returned to his hometown. When skeletal remains are discovered in the surrounding badlands, the two are inexorably drawn together as their efforts to uncover Murfee's darkest secrets lead them to the same terrifying suspect: Caleb's father and Chris's boss, the charismatic and feared Sheriff Standford "Judge" Ross. 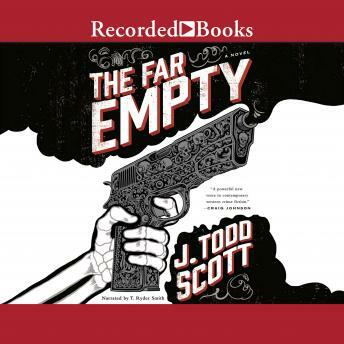 Dark, elegiac, and violent, The Far Empty is a modern Western, a story of loss and escape set along the sharp edge of the Texas border. Told by a longtime federal agent who knows the region, it's a debut novel you won't soon forget.